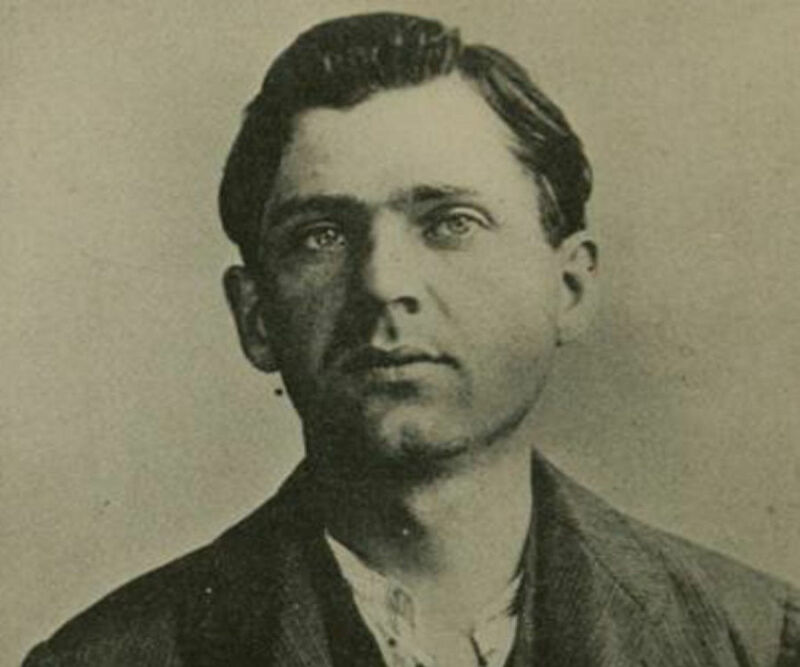 Leon Czolgosz was a Polish-American anarchist who assassinated American President William McKinley. Check out this biography to know about his childhood, family life, s and other facts about him. Leon Czolgosz was a Polish-American anarchist who assassinated American President William McKinley. Born to first generation Polish immigrant parents, he was brought up in poverty and moved from place to place. He had only five years of formal education and started working while he was in his mid teens. However, he was an intelligent boy, who read a lot outside school. He first became interested in socialism when at the age nineteen he lost his job due to the prevailing depression. Very soon, he came to conclusion that it was the state machinery, which made the rich richer at the cost of the poor. He soon lost faith in the Church and moved towards anarchism. However, his odd behavior made the anarchist suspicious and he was thus left alone. He decided to kill President McKinley as a mark of his protest when he learned that the President would be visiting the Pan American Exposition, fatally wounding him with his newly bought revolver. After a speedy trial, he was killed by electrocution within 45 days of President William McKinley’s death. Czolgosz was then twenty-eight years old. 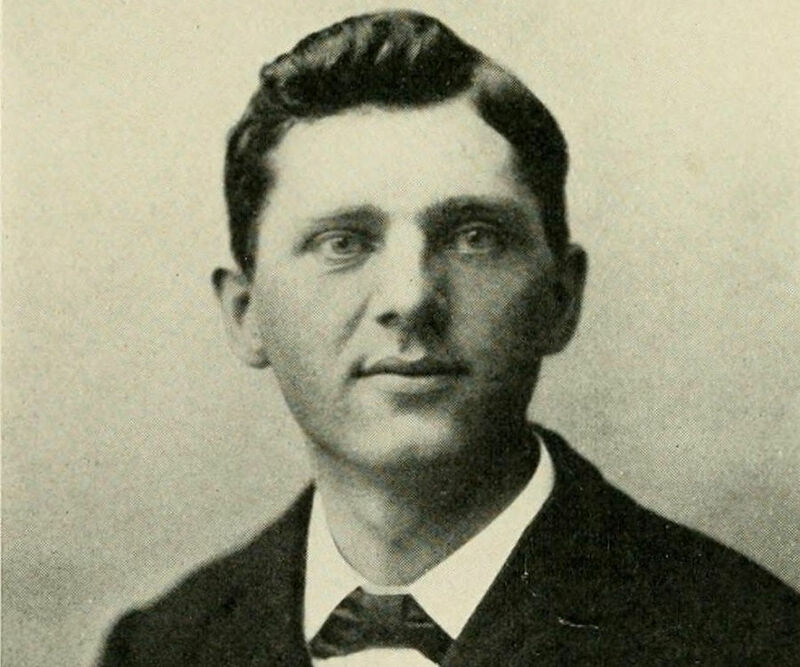 It is generally believed that Leon Frank Czolgosz was born on May 5, 1873 in Alpena, Michigan. However, police documents mention Detroit as his birthplace. There is also confusion about the exact year of his birth. His parents, Paul Czolgosz and Mary Nowak, were first generation Polish immigrants. They were Roman Catholic by faith and moved to the USA possibly in 1872, after the birth of their third son. Leon was born fourth of his parents’ ten children, having three elder brothers called Waldek, Frank and Joseph. He also had four younger brothers named Walter, Jacob, John, Michael and two younger sisters called Celia and Victoria. Additionally, he had two half-siblings, Charles and Antoine, from his father’s second marriage. It is not known what the Czolgoszs did while they were living in Poland. In the USA, Paul worked as a laborer in a factory, earning less than a dollar a day, moving from place to place in search of better prospect. Possibly in 1878, when Leon was five years old, the family moved to Detroit. After around two years, sometime around 1880, they made another move, this time to Posen, a village in Presque Isle County in the state of Michigan. Here, his father acquired a farm. Leon did not have much formal education, attending school only for five years. A shy, pious, neat and intelligent boy, he read avidly outside school and was considered an intellectual within the family. Leon Czolgosz’s mother, Mary, died in 1885/1886, six weeks after giving birth to her youngest child, Victoria. Thereafter, Paul sold the farm and returned to Alpena. From there they again moved to Natrona in Pennsylvania. Here, Leon took up his first job at a glass factory. By 1890, the family had moved to Cleveland, a port city in northeastern Ohio, where seventeen year old Leon began working in the Cleveland Rolling Mill Company. Here he was known as a steady worker and very soon received a merit based pay raise. In 1893, a serious economic depression caused Cleveland Rolling Mill to shut down its operation temporarily. When it opened its door, it resorted to wage cut, resulting in workers’ strike, causing Leon and his brother, who also worked in the same mill, to lose their job. Leon was also blacklisted. In 1894, Leon managed to get back his job, calling himself Fred C. Nieman. Incidentally Nieman is a Polish-German surname that means ‘nobody’. However, the incident left a deep mark on his psyche. He began to focus on the inequality between the factory owners and the workers. The disparity between the rich and the poor greatly angered Leon Czolgosz and slowly he began to turn towards socialist ideals, joining Golden Eagle Society, a moderate social workers’ club. Subsequently, he left Golden Eagle to join more radical Sila Club, where he was introduced to anarchism. Over a period of time, he came to conclusion that the rich were allowed to gather more wealth at the expense of the poor because of the governmental structure. He tried to join different anarchist groups, but because of his strange behavior, he was avoided by all of them. By 1896, he had lost faith in the God and the Church. Alienated from the world, he suffered a nervous breakdown in 1898 and lost his job. By then, his father had bought a 55 acre farm in Warrensville, Ohio and Leon now began to live there. At his father’s farm, he spent his time in reading radical works and never helped in the chores. He also visited Chicago and Detroit frequently, being drawn to big names in anarchic movement such as Emil Schilling of Liberty Club, Abraham Isaak, editor of radical newspaper Free Society and Emma Goldman. He became more intent in his purpose, when King Umberto I of Italy was assassinated by an anarchist called Gaetano Bresci on July 29, 1900. Bresci had told the press that he shot the King for the sake of the common man and this impressed Czolgosz even more. In the summer of 1901, he moved to Buffalo, where he lived in a boarding house in West Seneca for few months. It is possible that he went there looking for work, trying to take advantage of the Pan American Exposition that was to start from May 1, 1901. It is possible that he did not get any job because in May 1901, he returned to Cleveland for few days. 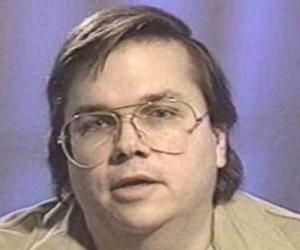 Here, he attended a lecture meeting of Emma Goldman. Greatly impressed by her speech, he approached her, asking her what books he must read. On 12 July 1901, he met Goldman at Abraham Isaak’s residence in Chicago, calling himself Fred C. Nieman. He told her about his disappointment with Cleveland’s socialists and also asked her introduce him to her anarchist friends. But as Emma Goldman was on her way to Boston, there was no time for that. Within a short period, it was revealed that his real name was not Nieman, but Leon Czolgosz. This, along with his awkward behavior and his tendency to ask blunt questions about their secret societies made Goldman and Isaak suspicious about his intentions, posting a warning about him in ‘Free Society’. On August 31, 1901, Leon Czolgosz returned to Buffalo, taking a room in John Nowak's saloon at 1078 Broadway. Sometime soon after, it was announced that President William McKinley would visit the Pan American Exposition on September 5 and 6. It was at this point Czolgosz decided to kill him. Possibly on September 2, 1901, he bought a 32 caliber Iver Johnson "Safety Automatic" revolver (serial #463344) for $4.50. Thereafter, he waited for his chance, targeting to complete the wok on September 5. On September 5, 1901, the President gave a speech on tariffs and foreign trade at the exposition. Although Czolgosz had gone there with the revolver, he soon realized that he would never be able to get close enough to the President. Therefore, he decided to wait for the next day. On September 6, 1901, the President was scheduled to meet general public for ten minutes at the Temple of Music, an auditorium at the exposition ground, at 4 pm. Seizing his chance, Czolgosz stood in the queue, carrying his revolver wrapped in a handkerchief, reaching the President at 4:07 pm. As the President extended his hand Czolgosz slapped it away and shot him at the abdomen twice. The first bullet hit a coat button and ricocheted off. But the second hit his stomach, seriously wounding him. The President succumbed to his injury on 14 September 1901. As President McKinley slumped backward, the crowd attacked Czolgosz. Although the police had to struggle hard to keep off the crowd, they were finally able to take him into custody, initially keeping him in a cell at Buffalo's 13th Precinct house at 346 Austin Street. Later he was moved to police headquarters. 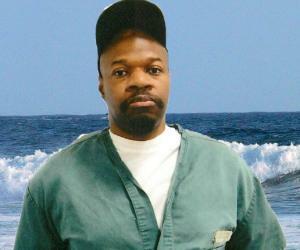 He told his interrogators that he killed the President because he believed it to be his duty. He also said that he did not think it was right that one man should have so much services and another man would have none. Initially, it was thought that he was part of a big conspiracy. Because he had said that he was inspired by Emma Goldman’s speech, she and other anarchists were briefly arrested. Later it was found that he had acted alone. On September 16, 1901, he was brought to the Erie County Jail and the charges were read out to him at County Judge Emery. The actual trial began on 23 September 1901. Although he was provided with defense lawyer he refused to cooperate with them. Neither did he say anything in his defense during the trial. His defense lawyers therefore claimed that he was insane. The juries also conceded that no sane person would shoot the President in such a closed space. At the same time, he could not be legally defined an insane because he knew the consequence of his action. On September 24, 1901, after deliberating for only an hour, the jury convicted him guilty, unanimously recommending death penalty on 26 September. All along, he remained quiet without showing any emotion. On October 29, 1901, Czolgosz was electrocuted in Auburn Prison. He was given three jolts, each of 1800 volts. 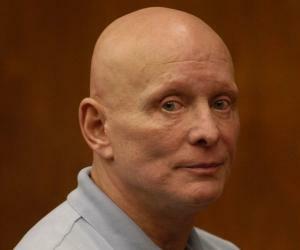 His last words were, "I am not sorry for my crime. I am sorry I could not see my father." Although his family members wanted to take his body for a proper burial, fearing mob violence, the prison authorities refused to hand it over. 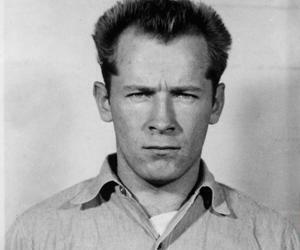 Instead, they buried him within the prison ground after covering his body with sulfuric acid for quick decomposition. The revolver, with which Leon Czolgosz killed President McKinley, is now on display at the Buffalo History Museum. Although the Temple of Music, the place he shot the President, was later demolished, a stone marker on the Fordham Drive now marks the approximate spot.